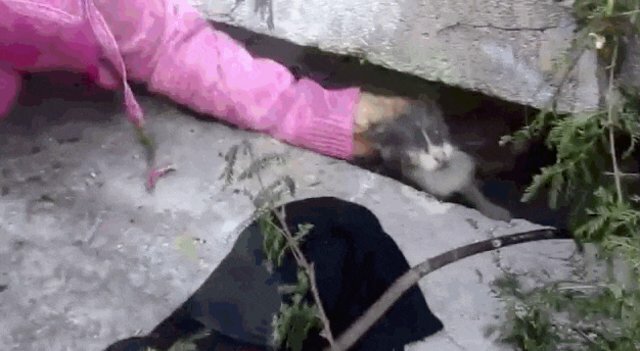 A tiny kitten somehow got himself trapped in a storm drain, scared and starving. Instead of giving up, he did the only thing he could - he cried as loud as he could. ... whose cries could be heard from blocks away from where he was. He was stranded. He was terrified. Yet he cried and cried, and never gave up. ... so they covered a scarf with cat food and lowered it into the drain. 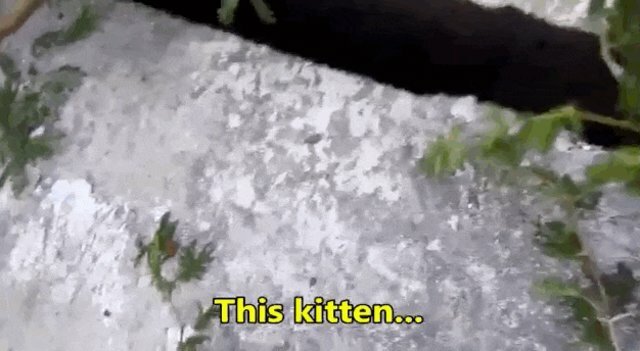 The hopelessly hungry kitten finally understood. These people were here to help him. His cries had worked. After letting him eat, they were finally able to pull him out, safe and sound. In the video, his rescuers wrote, "This kitten was trapped, helpless, hungry and very lucky." And now, thanks to his rescuers, this kitten is also safe, and knows what it feels like to be truly loved.